Until now, relatively little descriptive material has been available on the Hidatsa language and sound system. The tribal name Hidatsa was first applied to the Hidatsa speaking people of Like-a-Fishhook-Village by Washington Matthews in 1877. 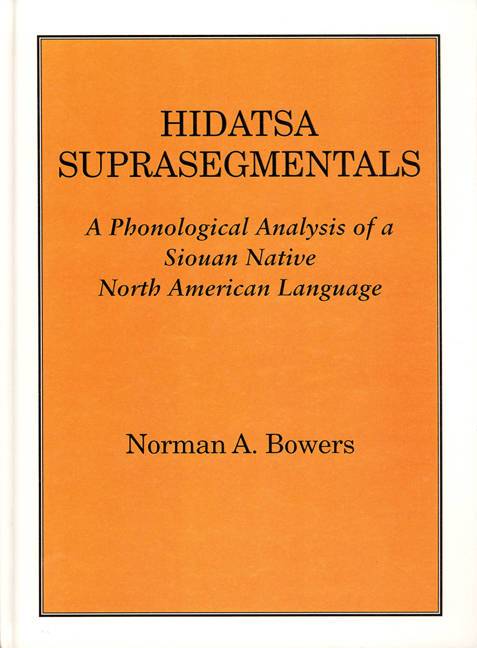 This book is a Phonological analysis of a Siouan Native North American Language.